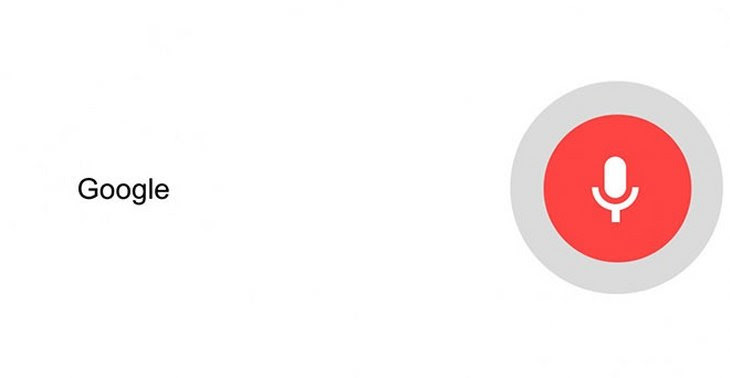 15 Essential Google Tips! - Something New Everyday! Home GoodToKnow technology 15 Essential Google Tips! Google is the most frequently used search engine in the world by a mile, and over 2 trillion (2,000,000,000,000) searches are carried out every year. However, did you know that Google is actually much more than just a search engine? 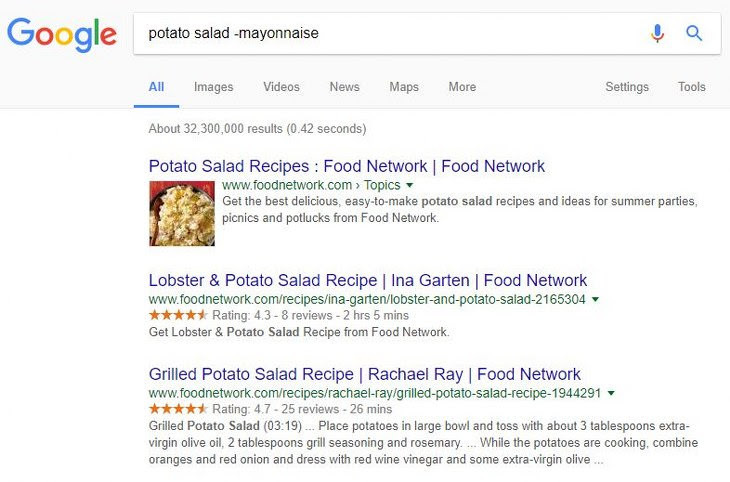 In fact, Google has a whole host of lesser-known functions, such as finding the best recipe for you or calculating your restaurant tip. Below, you'll find 16 of the most useful and interesting ones. 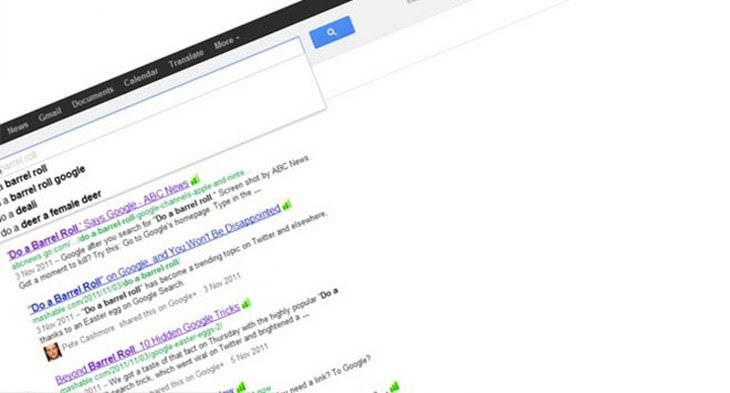 Your searches will never be the same again. 1. Google can be used as a timer. 2. Google can give you information about practically any festival or holiday. 3. 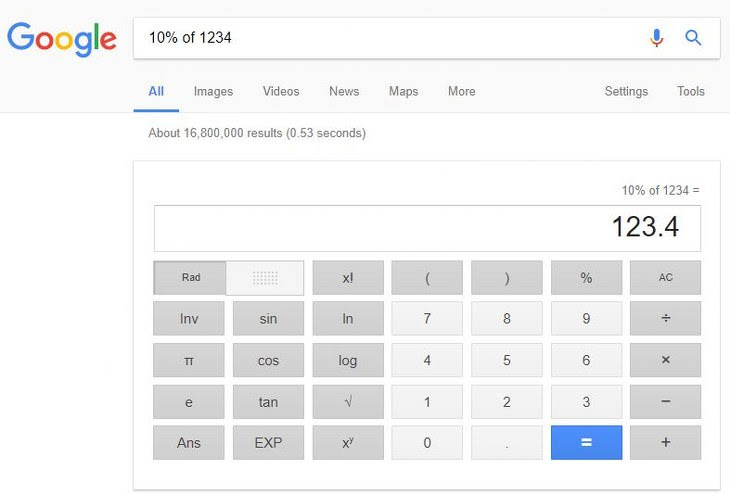 Google can be used as a calculator. 4. 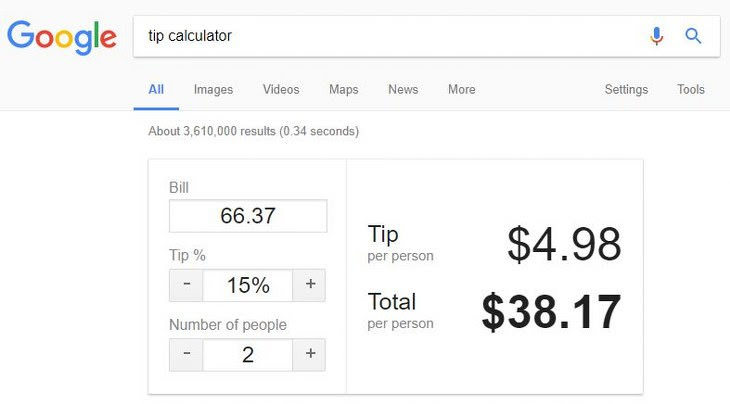 It can even help you calculate the right tip. 5. Typing 'do a barrel roll' will actually make Google do one! 6. 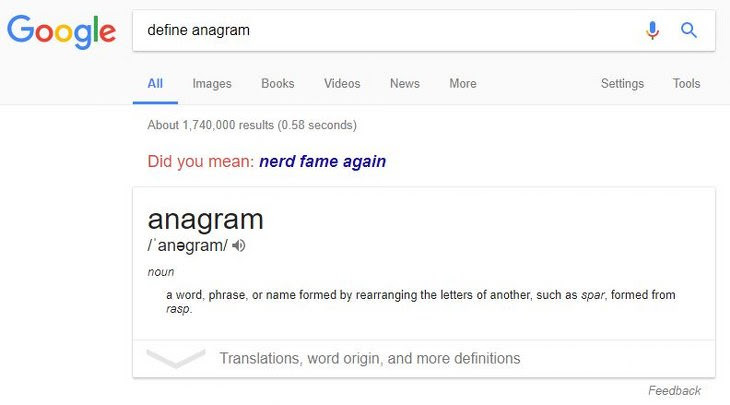 Google will give you anagrams every time 'anagram' is included in a search. 7. 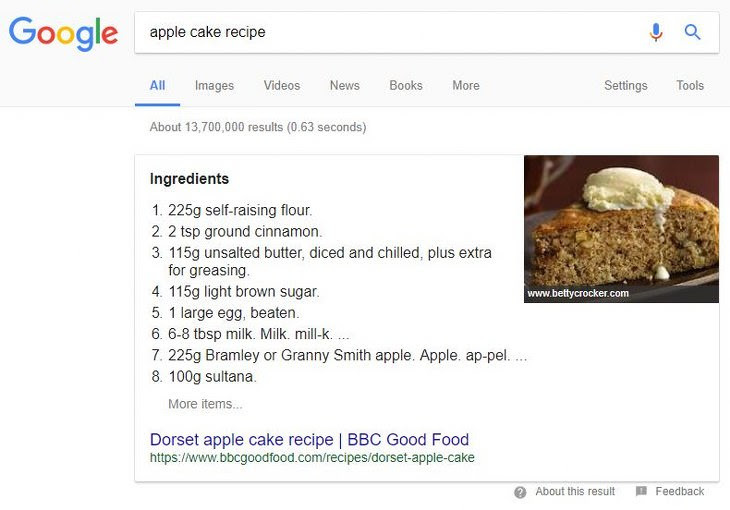 Google will supply you with an appropriate recipe when using the word 'recipe'. 8. 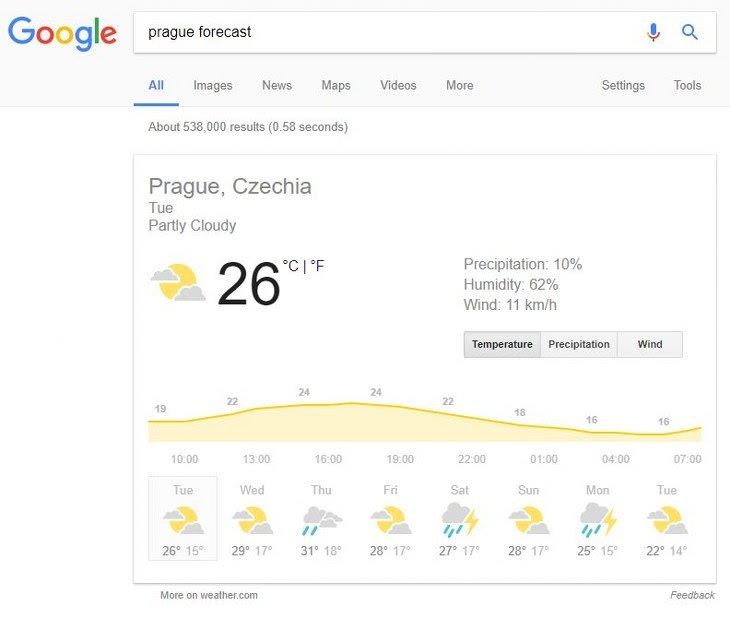 Google will exclude a word from your search if you add a minus symbol in front of it. 9. Clicking on the microphone symbol will allow you to do a vocal search. 10. Google will make sure you're always up to date with the latest TV shows. 11. 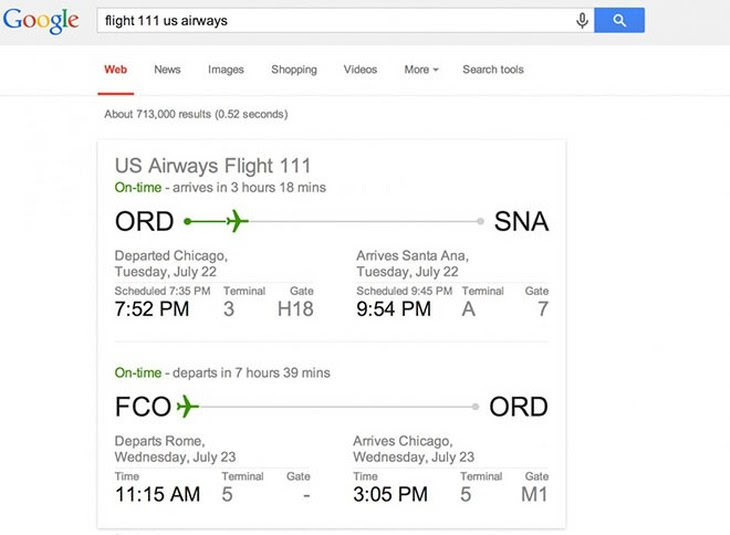 You can get detailed flight information from Google. 12. Google can also convert practically everything. 13. Google's translations take a fraction of a second. 14. 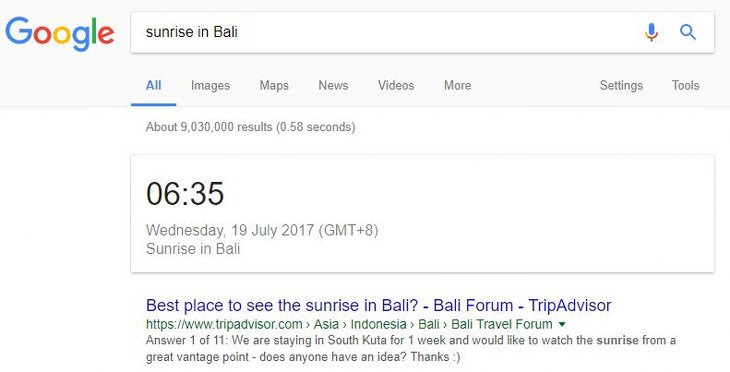 Google always knows when the sun rises and sets. 15. It also knows the weather all across the globe. 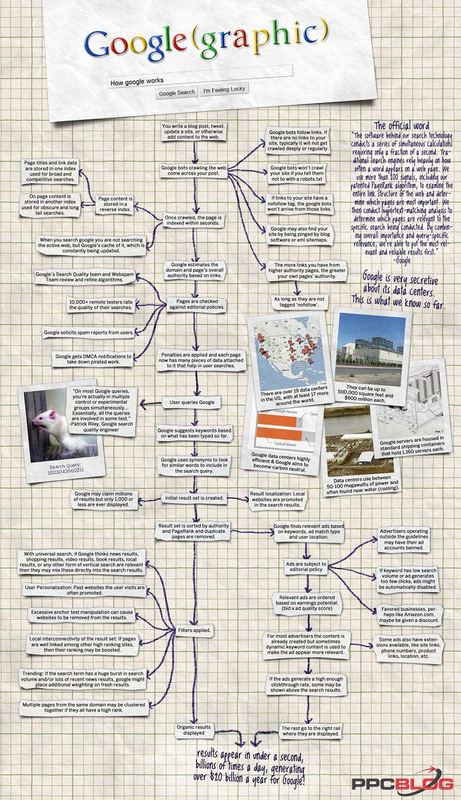 Bonus: Here's a detailed infographic which will give you a better understanding of how Google works. which most of us may not be aware.